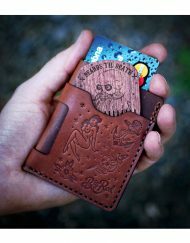 Like a good whiskey or a well-worn leather wallet, some things in life get better with age. 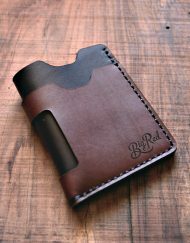 The Big Red Minimalist Wallet is hand-crafted out of high-quality water resistant leather treated with oils and finishes. 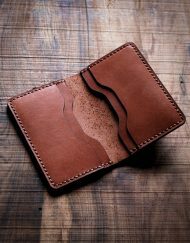 This leather has an aged patina that will only get better from day one. 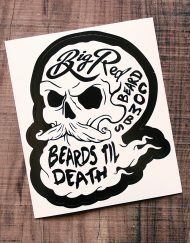 Not only will it carry your cards and cash, it doubles as No.5 Big Red Beard Comb Case. 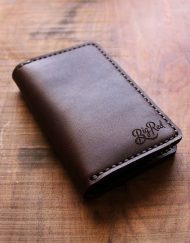 The Big Red Leather Slim Wallet holds up to 5 cards, some cash and is designed with a front & back wrap around pocket for extra storage. 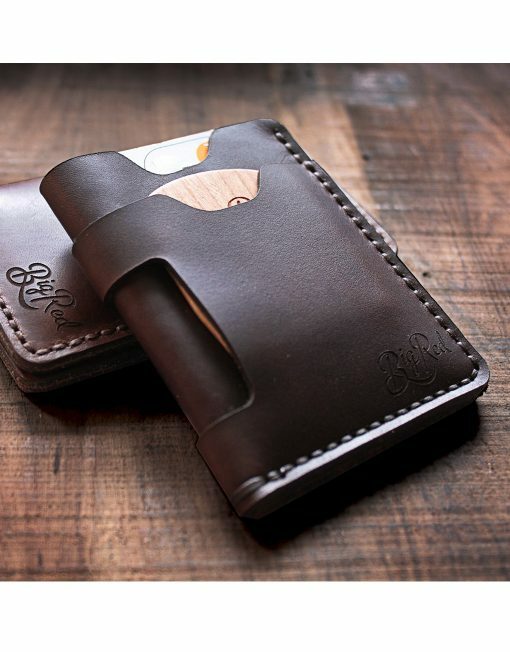 Designed with ultra thin construction, it can easily be carried in a pocket. 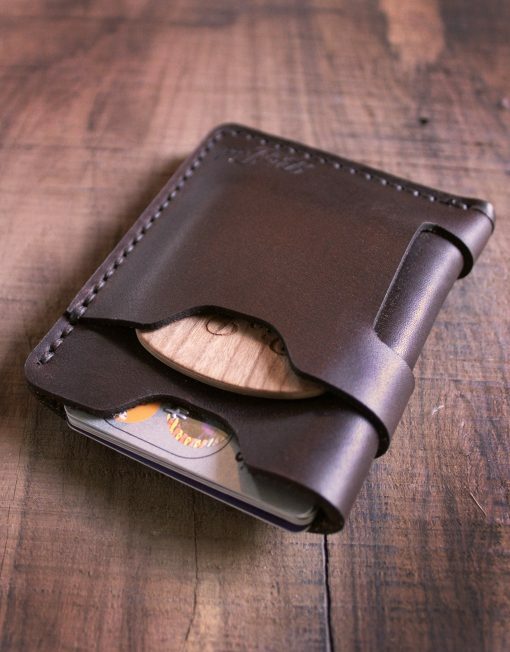 Walnut leather – deep, rich brown tones. 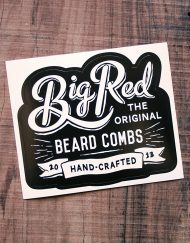 * Big Red No.5 not included. 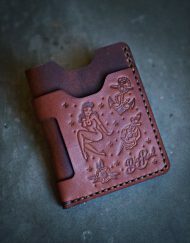 This is probably the best wallet I’ve ever purchased. 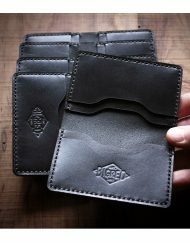 Greta design, style and you can’t beat the smell of natural leather. 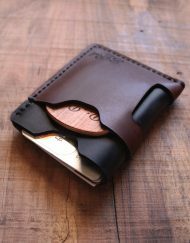 I would recommend the outer layer of leather being a bit thinner to provide a truer “minimalist” design. 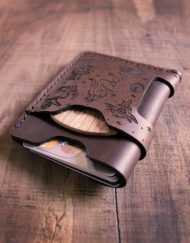 My girl friend got me this wallet for my birthday, I had been eyeing this wallet and the bi – fold style for awhile. She made the decision and got me this one. I love it! 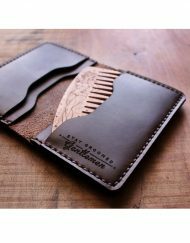 The design a great! 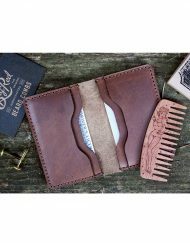 I have about 7 cards in it and my number 5 comb and can still get $40 bucks cash in the other pocket. 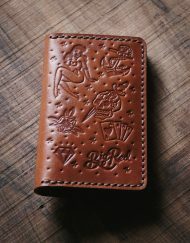 Nothing beats the smell of leather either. 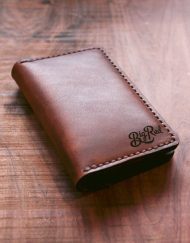 I definitely recommend this wallet to anyone who is thinking about it. 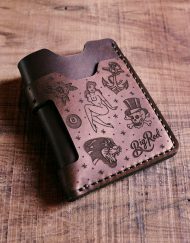 By far the best wallet I have bought in years!